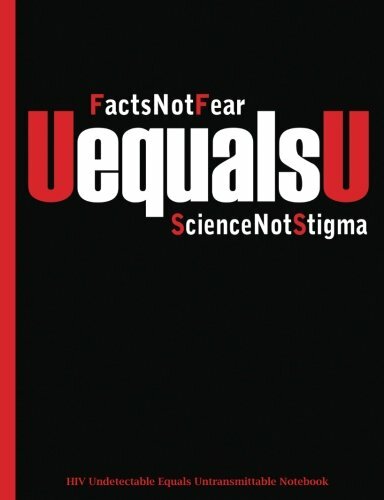 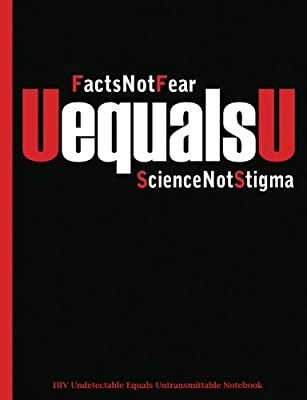 UEqualsU - HIV Undetectable Equals Untransmittable - Facts Not Fear - Science Not Stigma: Perfect bound soft cover, professionally designed ruled student composition notebook makes a great, unique gift idea for social worker or medical professional involved with Human Immunodeficiency Virus (HIV) stigma awareness. 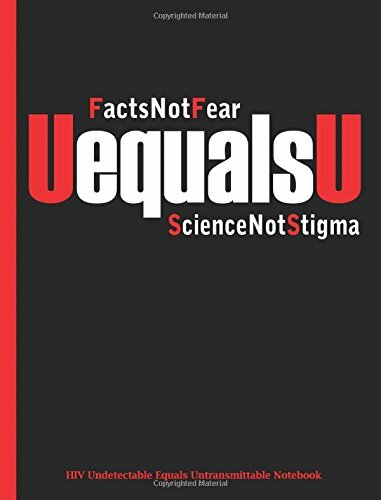 Anyone can use this as a writing journal or composition book at any academic University or High School - private or public event. 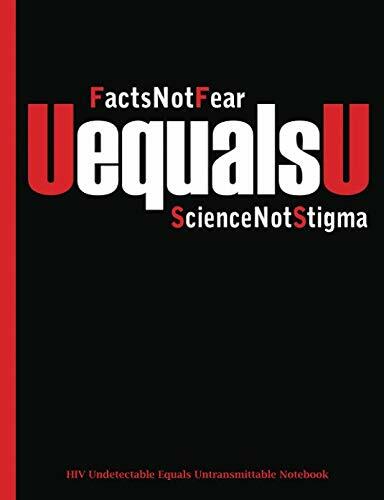 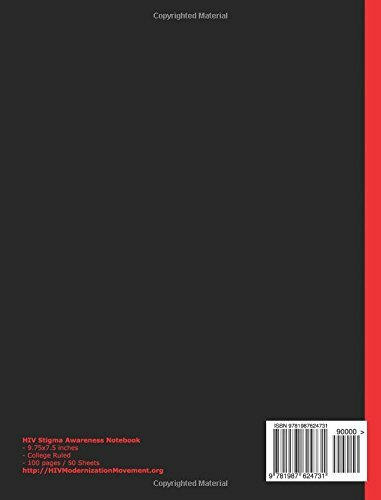 Size Dimensions: 100 pages / 50 Sheets, 9 3/4 x 7 1/2 inches (9.75x7.5") 19.05 x 24.765 cmCover: Paperback has a tough cover with glossy print.